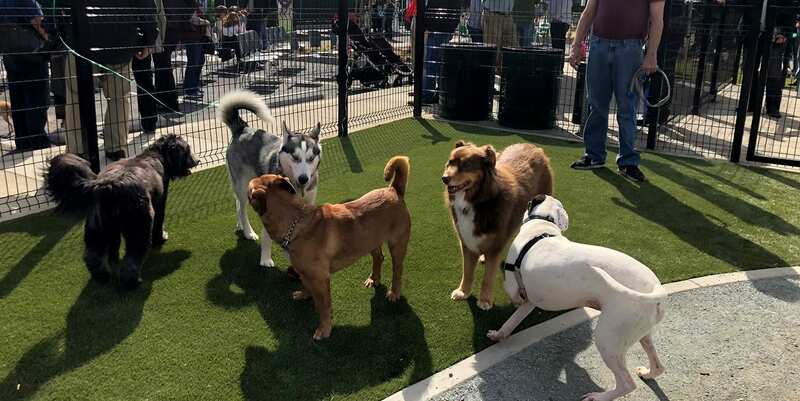 Dog parks are integral parts of communities that can easily become eye sores. 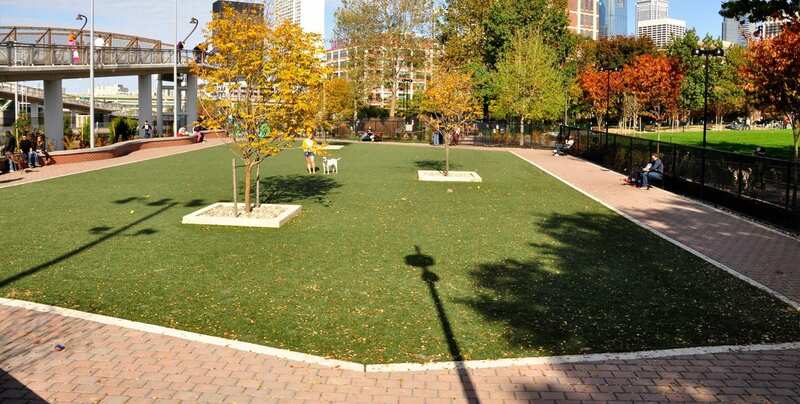 Keeping grassy areas in top condition requires constant irrigation, seeding, and mowing. 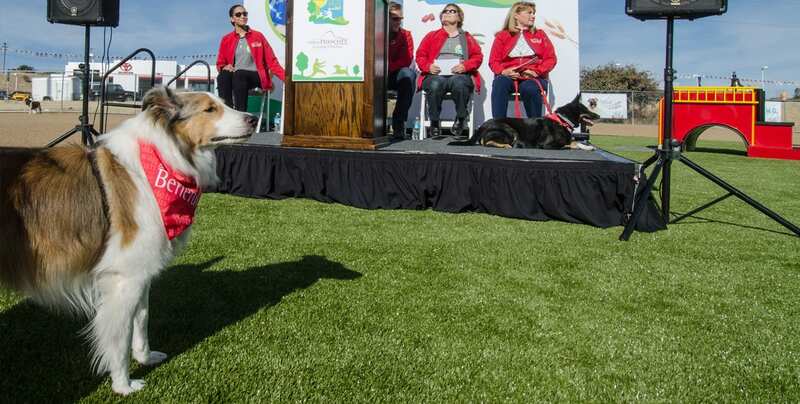 If the park is too muddy or has alternative surfacing, such as mulch or sand, dogs don’t stay clean and carry the mess home. 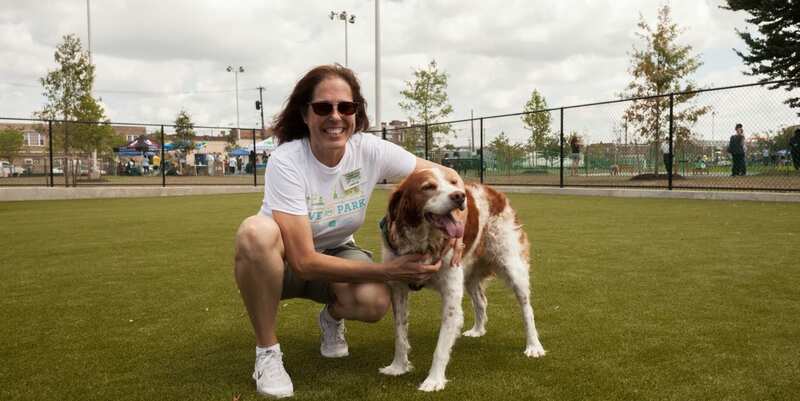 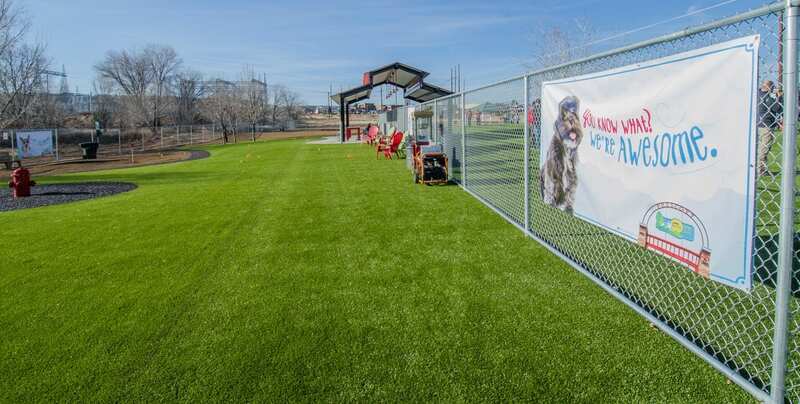 Many parks have found that artificial grass is the ideal, low-maintenance solution for dogs. 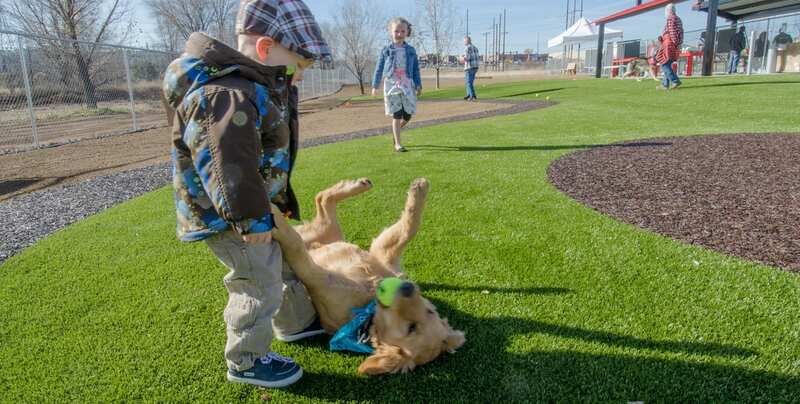 K9Grass by ForeverLawn is the artificial grass specially designed for dogs. 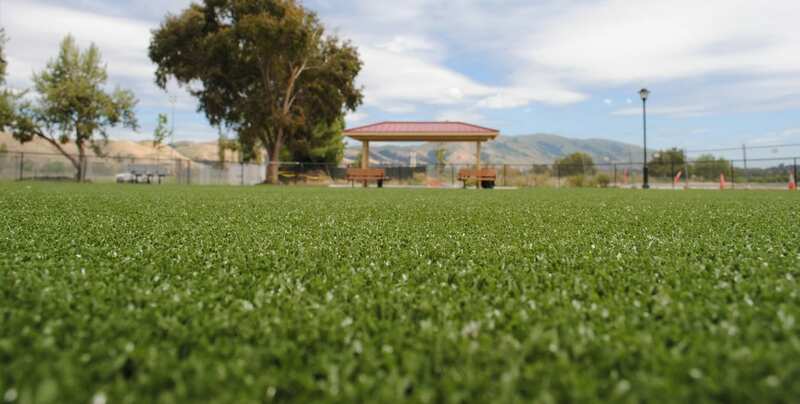 Whether installed in dog runs or larger areas, K9Grass easily manages intense play from dogs seven days a week. 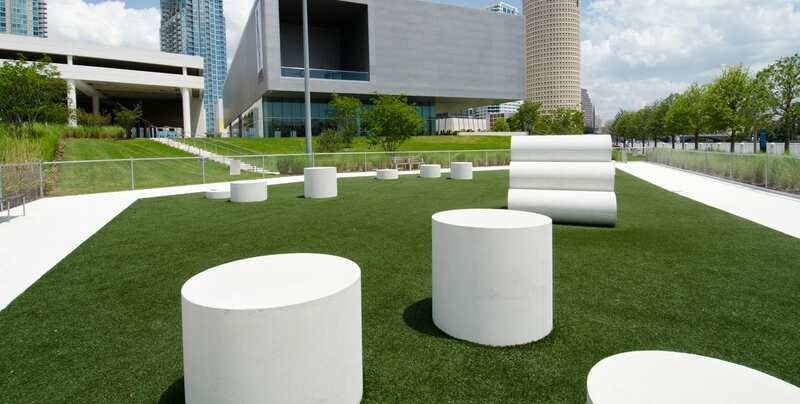 The dense, short pile holds its shape while the natural grass texture is soft on paws. 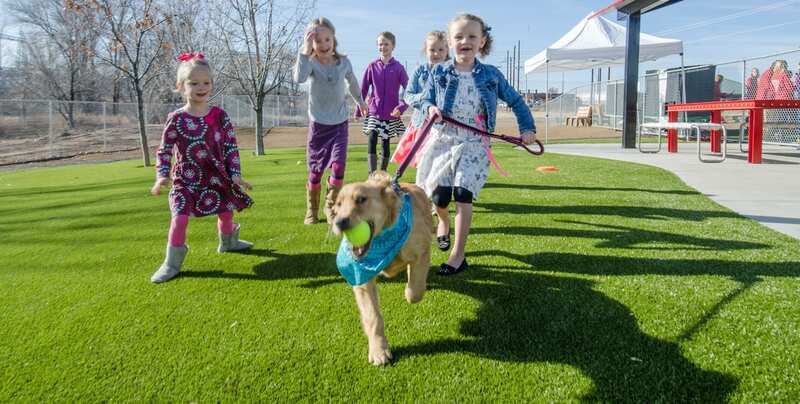 With a knitted flow-through™ backing, K9Grass is the best ground cover for dog runs and dog parks. 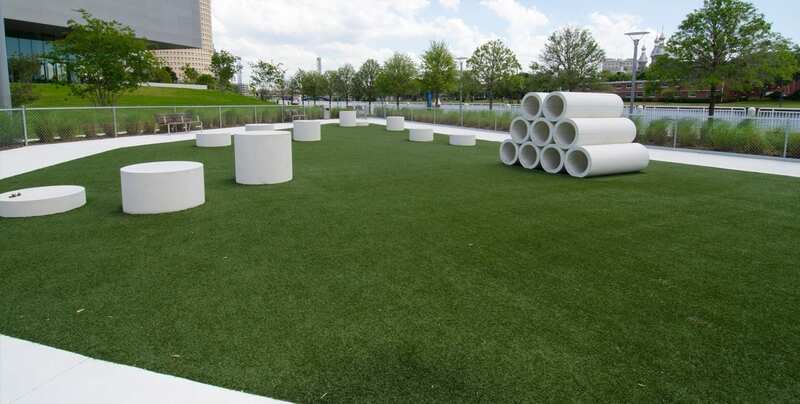 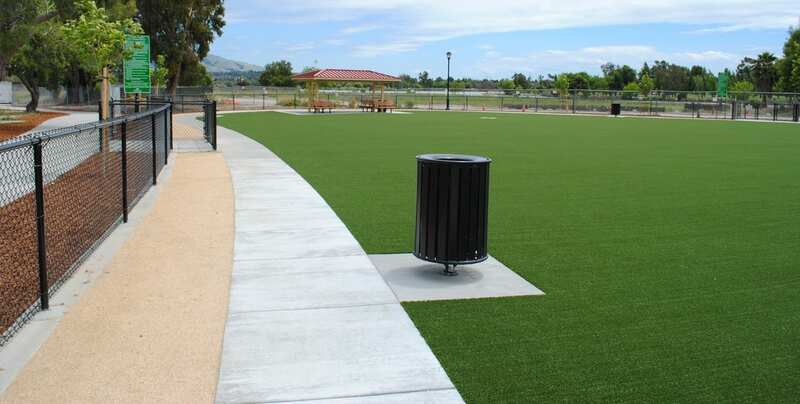 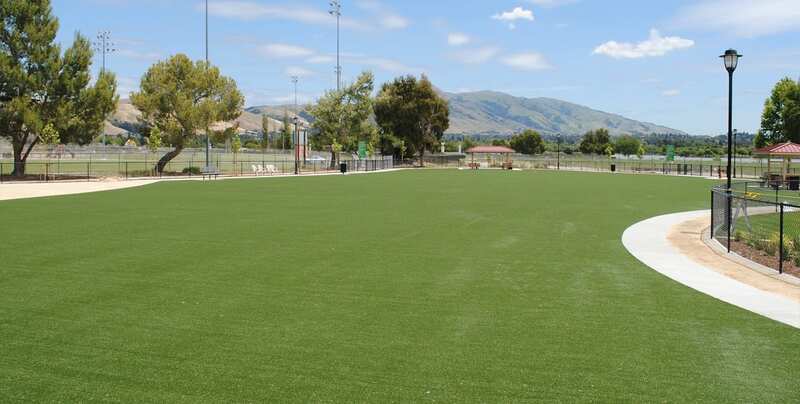 The artificial grass is short and dense with edge-to-edge permeability, making solid waste easy to locate and remove while liquid waste passes through. 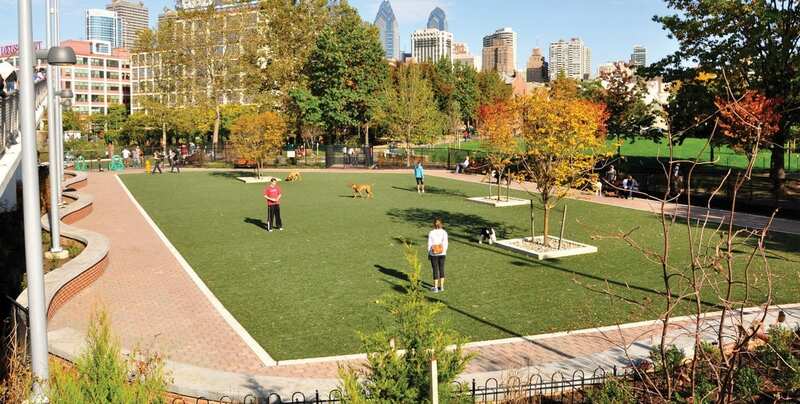 K9Grass has antimicrobial protection and non-toxic materials that are safe for dogs and pet parents. 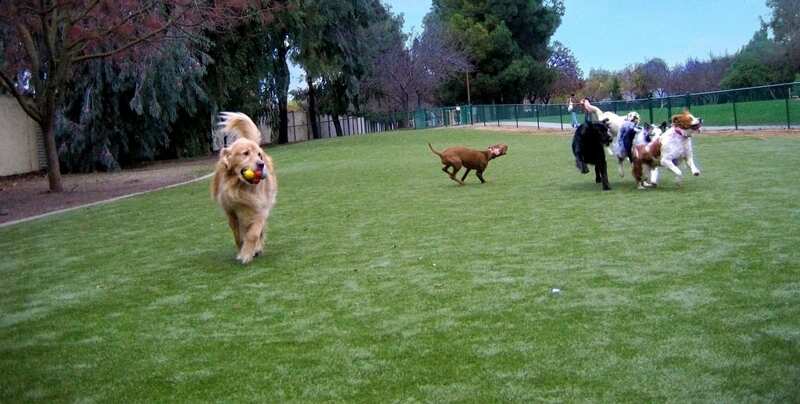 From dawn to dusk, dogs can run and play all day on K9Grass. 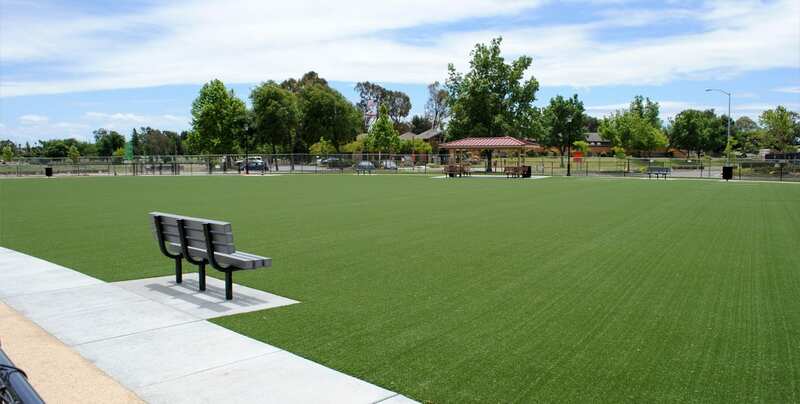 Some parks install K9Grass in a smaller section that allows their visitors access even when it’s wet and allow natural areas rest time. 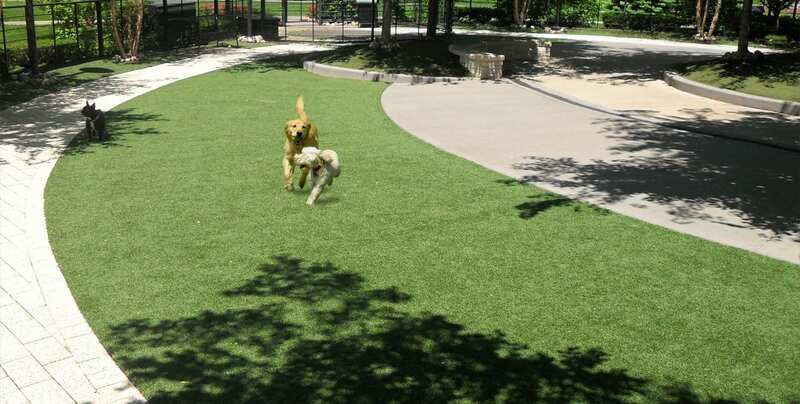 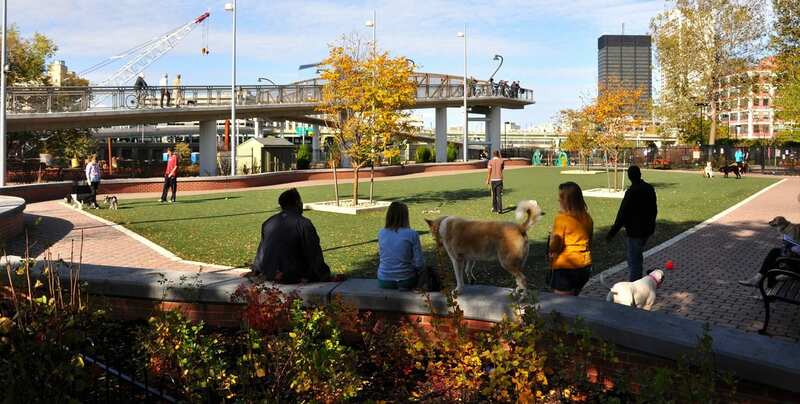 Others find that replacing the entire area with K9Grass is well worth the investment. 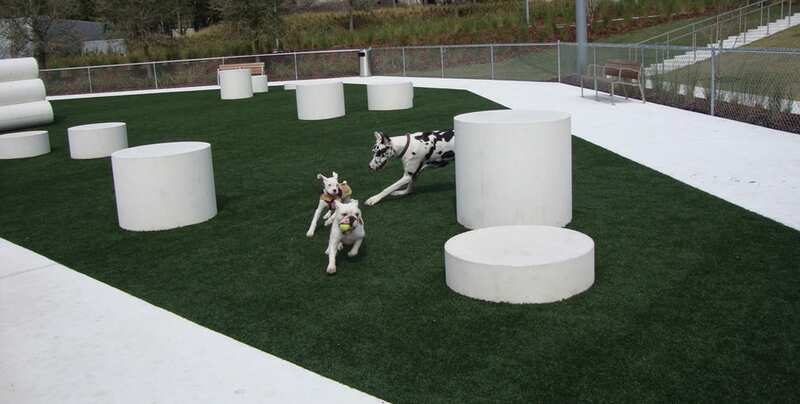 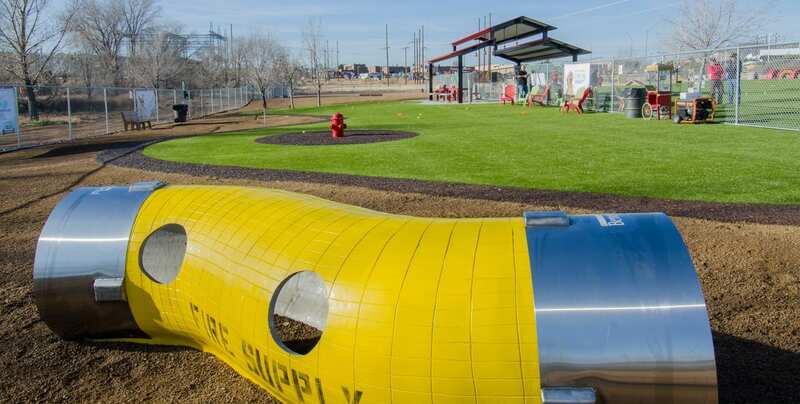 Get rid of dusty surfaces, mud, and drainage difficulties for your dog park. 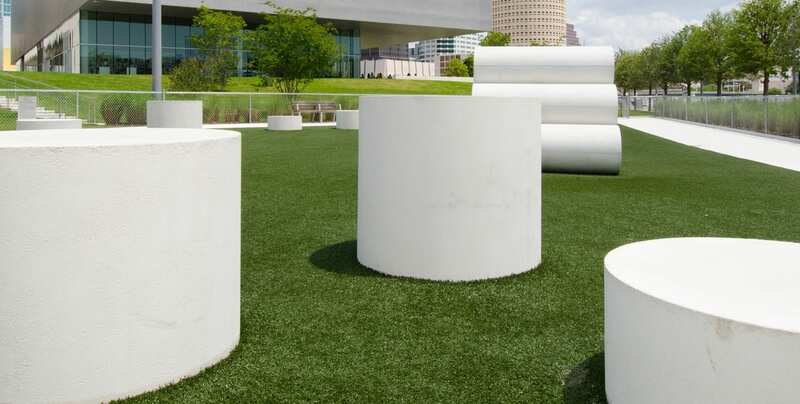 K9Grass is easily maintainable and suitable for any climate or season. 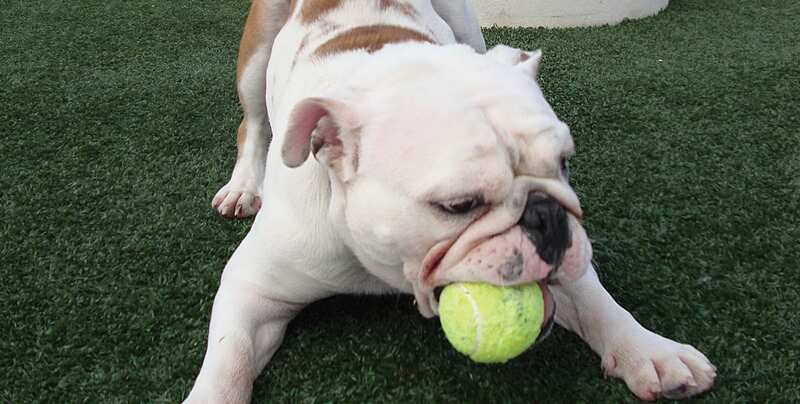 You’ll have an aesthetically pleasing, clean surface for doggy visitors year-round. 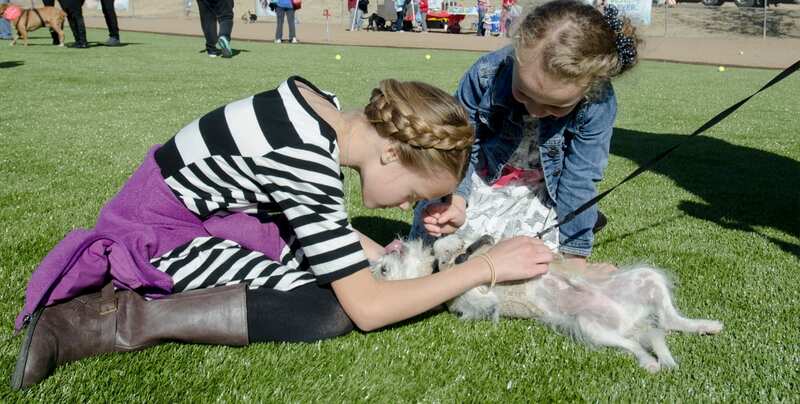 Contact ForeverLawn for more information or to speak to a K9Grass specialist.